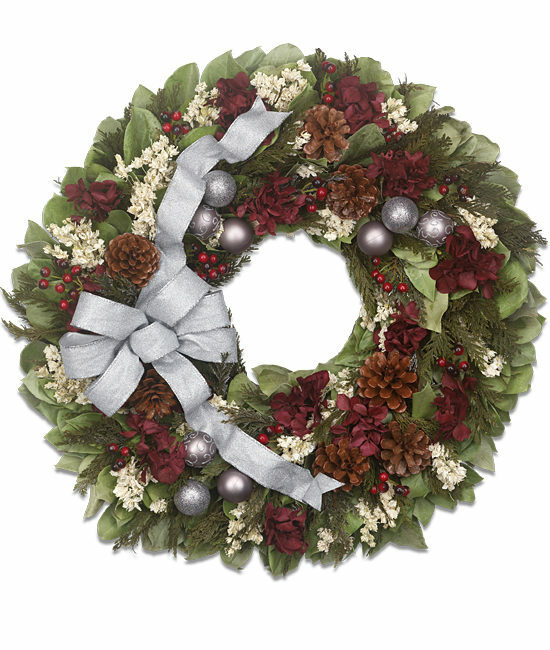 This stunning wreath offers a festive twist on the traditional holiday look, featuring classic red and green along with ample amounts of merriment. 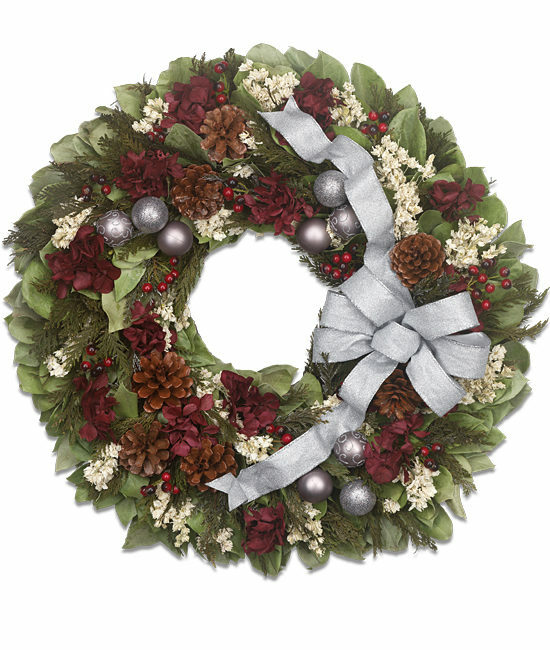 A base of lush green salal is laden with natural pinecones, red berries, sinuata, and hydrangea, and trios of silver ornaments bring more than a few favorite Christmas carols to mind. Tied with a sliver organza ribbon, it’s ready to gift or accent your own décor.